This past year, the rare coin market has gained quite a bit of attention from both investors and collectors. During times of economic uncertainty, prudent investors tend to seek out tangible assets that they can use to add stability to their financial portfolio. 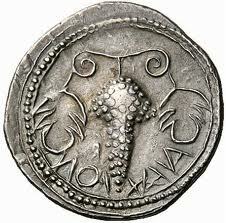 Coins have long been viewed as the perfect hedge against inflation and recession, due to their silver or gold content. Today, coins are still used as long-term investments in a number of ways. If you are interested in coins, you will want to first decide what your motivation is. This will allow you to choose a strategy that will be most appropriate for your needs. There are so many different paths that a coin investor can take. The first choice that a novice coin collector should make is whether they are interested more in the investing side of things, or if they are more fascinated by the coins themselves and their history. Although there is nothing wrong with being an investor and a hobbyist, the two will often approach buying and selling differently. The general difference between a hobby and an investment is the bottom line – money or enjoyment. There are definitely collectors who enjoy the hobby and also use it to make money, but that may take years of experience. If you want your coin investment to pay off in the long run, it is highly recommended that you seek out the highest quality coins that you can afford. This may cost a bit more, but these coins will inevitably appreciate in value much better than a coin that is graded lower or easier to obtain. You will also want to decide whether you want to own coins for their precious metals content or for their numismatic value. Although there are numismatic coins that are made from precious metals, and also bullion coins that have numismatic value, it is essential that you understand the difference before you buy them. Both bullion coins and numismatic coins should be approached in their own unique ways. Precious metal bullion coins are ideal for someone who is pursuing a gold or silver investment, but not trying to buy in large quantities at a time. Being able to buy just 1 troy ounce of gold is often more ideal than buying a large bullion bar. Precious metals are very reliable, and they do not require very much additional information. You simply find a coin that interests you, compare it to the market price, and then buy. What you see is what you get. With rare numismatic coins, things are a bit different. Every single coin is completely unique. Two seemingly identical coins can be priced thousands of dollars apart. It is crucial that you talk to reputable dealers that are accredited by organizations like the Professional Numismatics Guild or the American Numismatic Association. This will ensure that you are receiving coins that are accurately graded and fairly priced. Whether you are fascinated by rare silver coins of the Old West that tell a historical tale, or shiny brand new gold coins that you can display with pride, you want to take some time to learn about them before you send any money. 2013 has been an exceptional year for many prudent investors and collectors, but plenty have lost their money through foolhardy buying habits. There is an old numismatic saying, “Buy the coin before you buy the book.” This just means that when you go into your first rare coin investment or bullion coin purchase, you should be 100% confident that you are making the right choice. There are plenty of resources out there; take the time to use them to your advantage.